During my elementary days, the easiest snack my nanny would pack is milk chocolate and cupcake. For the milk chocolate it has always been Nestle but for the cupcake — I forgot the brand name. But what is popular in the Philippines I think is Lemon Square. I love the Cheese and Brownie flavors! With the boom of the cupcake business in the Philippines and with a lot of my friends going into the baking, I don’t really get to taste the commercial cupcakes being sold anymore. But since I work for a design agency, I get to sample a whole lot of things from sparkling water to coffee and yes even baked goodies! 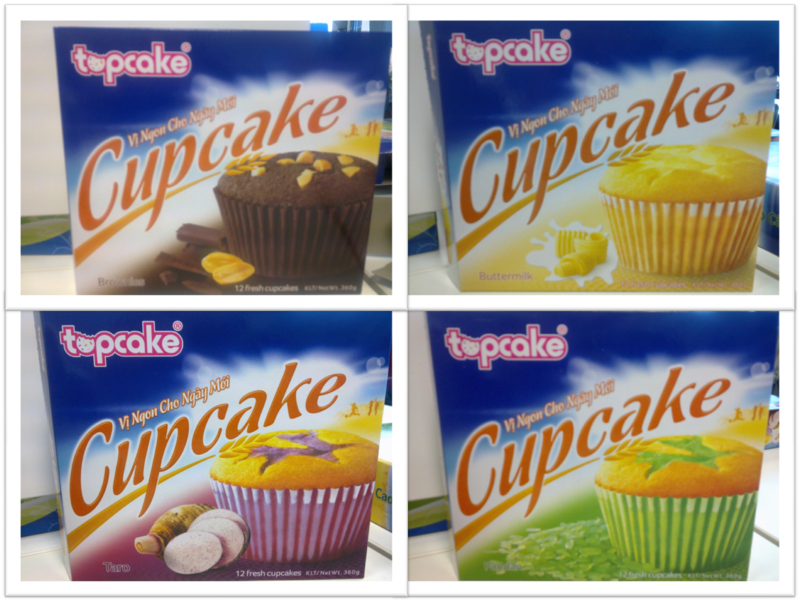 So finally, Lemon Square’s Vietnam counterpart, Topcake has launched its own cupcake line. It comes in 4 flavors: Pandan, Taro, Buttermilk, and Brownies. I’ve tried the Buttermilk and Brownies and I’m not sure but I think their taste are a tad bit too sweet. But since my hormones are out of whack these days, don’t trust my judgment! If you want a taste of home with a Vietnamese twist, you gotta try Topcake’s cupcakes! This entry was posted in Gastronomic Delights and tagged cupcake, Lemon Square, Topcake. Bookmark the permalink.